Would like to live in Gruene? Call us! We would love to show you this little hidden gem just blocks from the Historic downtown center of Gruene. Gruene River Place is a master planned development, nestled in the Texas Hill Country, and centrally located between Austin and San Antonio, with easy access to IH 35. At Gruene River Place, you don’t have to live on the river to experience the sparkling waters of the Guadalupe River, it is just steps away from your home. You can enjoy a nice walk down to your own private community waterfront park. 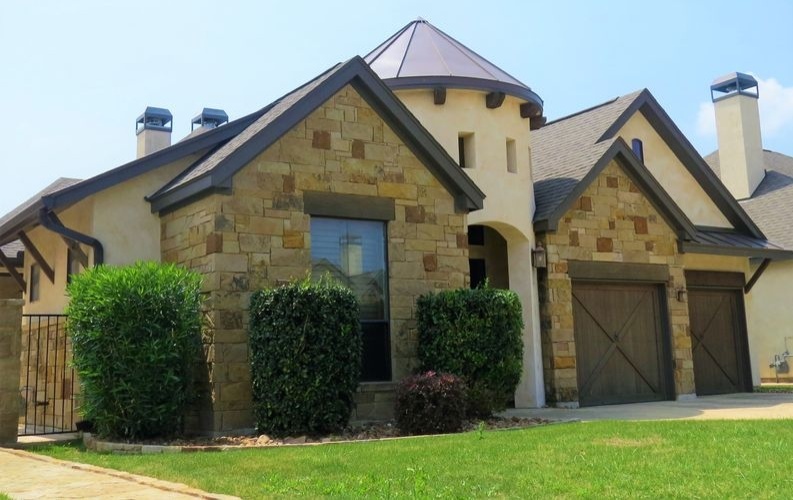 These quaint custom homes are built by Gruene River Builders, LLC. Builders that are proving that pride in craftsmanship still exists, from the flowing open floor plans, exquisite crown molding, over sized windows, Custom made fireplaces, to the hand stained and scored cobblestoned floors, 10ft to 17ft ceilings, and 8 foot exterior doors and cedar garage door. Offering top quality fixtures along with the appliances, the kitchen and baths include beautiful granite countertops and custom cabinetry. The homes that Gruene River Builders create are not the ordinary, they’re extraordinary in quality and design. This lovely and intimate subdivision offers 28 garden homes and 9 waterfront home lots. There are eight floor plans to choose from, beginning at 1515 square feet to 2175. One of the greatest attributes about these homes is the way that they are designed, giving you the feel of a much larger home. No wasted space in these smartly designed homes.